In the College of Human Ecology . It is important for students to track their graduation progress by comparing their current transcript with an appropriate curriculum sheet. Official transcripts may be obtained at the Office of the University Registrar (B07 Day Hall). Curriculum sheets are available on the Human Ecology Registrar’s Office web site. Students are responsible for planning course selections to ensure that graduation requirements are fulfilled in eight semesters. Transfer students are allowed fewer semesters based on the number of transferable credits granted at admission. Students requiring additional semesters to fulfill their graduation requirements must meet with a Human Ecology counselor (172 MVR) and request to petition for an extension. Students must earn a minimum cumulative GPA of 2.0 (C) or better to graduate. To graduate, a student must earn a minimum of 120 academic credits. Physical education credits and 10XX courses do not count toward the 120 required credits. Of the 120 credits required to graduate, at least 60 credits must be earned at Cornell University (applicable to transfer students). Students who matriculate as freshmen may apply a maximum of 15 non-Cornell credits earned toward the 120 credits required for graduation. These credits include AP, IB, and college credits earned elsewhere. Refer to Advanced Placement Credit for full details. No college credit earned before matriculation and used to meet Cornell’s minimum admission requirements may be counted in the 120 credits required for graduation. This policy does not apply to transfer students. Courses taught by a college in the high school setting or counted toward high school graduation are not allowed to count for either credits or fulfillment of requirements (i.e., Syracuse Project Advance). Cornell extramural credit (defined below) is limited to 15 credits toward the 120 required. Strict limitations exist on the number of credits that can be applied toward the 120-credit minimum for special studies courses (including but not limited to 4000, 4010, 4020), for 4030 courses, and for courses taken with an optional S–U grade. Details follow. These categories are detailed below. Students must complete 43 Human Ecology (HE) credits from College Distribution, Major Requirements and Electives. Additional course-specific rules are listed below. If a course is a requirement in College Distribution or Major Requirements, the course may not be taken for an S–U grade (unless it is the only grade option offered for the course). Courses used to count toward Electives that are taken for an S–U grade may also count toward the 43 credit requirement. Students should refer to the section on S–U grading rules for full S–U grading details. Students must complete 9 Human Ecology (HE) credits from outside their major department. A maximum of 3 credits from the 4000–4020 special-studies series may be applied to this requirement. Other course-specific rules for this requirement are listed below. If a course counting toward the 9 credit outside-the-major requirement is also a requirement in College Distribution or Major Requirements, the course may not be taken for an S–U grade unless it is the only grade option offered for the course. Courses used to count toward Electives that are taken for an S–U grade may also count toward the 9 credit outside-the-major requirement. Human Ecology (prefix HE) courses below the 3000-level (e.g., HE 1115 ) do not count toward either the 43 credit requirement or the 9 credit outside-the-major requirement. These HE–prefix courses that are below 3000-level may be used as elective credit. Human Ecology credits and 3 credits toward the 9 credit outside-the-major requirement. Human Ecology credits and 8 credits toward the 9 credit outside-the-major requirement. Cornell in Washington (PAM 4060 ). For this entire semester, PAM majors earn 8 credits toward the 43 credit requirement, which also count as 8 PAM credits. Non–PAM majors earn 8 credits toward the 43 credit requirement, which also count as 8 credits toward the 9 credit outside-the-major requirement. The remainder of the credits counts as elective credit. Students have individual objectives in choosing courses beyond the minimum requirements of the major. The university is diverse; the departments, centers, and special programs numerous; and the fields of study almost unlimited. Counselors and faculty advisors are available to discuss which courses may interest students and best round out their education. Students should consult the index in this catalog to learn where different subjects are taught in the university. Some subjects are taught in more than one division. 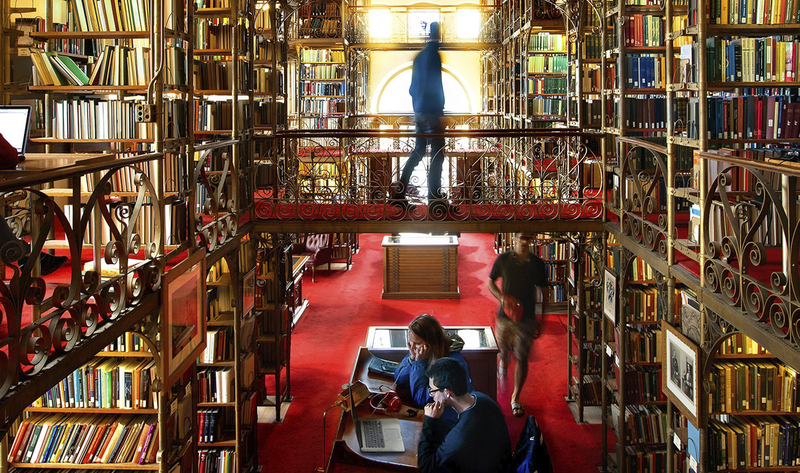 Elective credits can be earned in the endowed and contract colleges of Cornell. Students must earn 2 credits of physical education within their first two semesters. These 2 credits do not count as part of the 60 Cornell credits, or as part of the 120 total credits required for a degree, or toward full-time status. Students who externally transfer to Cornell are exempt from the PE requirement. Students must pass the university’s swim test. Students who externally transfer to Cornell are exempt from the swim test. Refer to University Graduation Requirements in this catalog for specifics. Course Distributions are groups of courses categorized by course content. Some requirements on your Curriculum Sheet direct you to chose courses with a specific distribution. This is common for Humanities or Additional Credit requirements, depending on your major. Students enrolling in the college as freshmen must complete at least 12 credits of Human Ecology courses by the end of the fourth semester, and at least 5 credits of Human Ecology courses must be taken in the freshman and 7 credits in the sophomore years (ECON 1110 may be used to fulfill this requirement). Students must carry 12 credits each semester, excluding physical education, to be matriculated as full-time students. Mature students must carry a minimum of 6 credits each semester (see Mature Student Guidelines for details). In special cases, a student may petition to carry between 8 and 12 credits. Forms for petitioning this exception and advice on how to proceed are available in the Human Ecology Registrar’s Office (146 MVR). Students may use only 12 credits of 4000, 4010, 4020, or 4030 courses toward graduation. Additional credits of 4000, 4010, 4020, or 4030 courses can be taken but will not be applied toward graduation. 10XX numbered courses do not count toward graduation requirements but do count toward full-time semester status. Students must fulfill the requirements specified for a major that are in effect at the time of their matriculation or thereafter. The requirements are detailed in curriculum sheets that are maintained for each academic year. The S–U grading option may not be used for College Distribution courses or required major courses unless it is the only grade option offered for those courses. S–U grades may be used for the 9 credits of Human Ecology course work outside of one’s major and for Electives. Students may apply no more than 12 credits of S–U toward the 120 credits required for graduation. If a required course is offered only S–U, it will not count toward this limit. Also, Honors Research 4990 taken S–U does not count against the 12 maximum limit. Students may take more S–U courses if they choose, but the additional credit may not be applied toward graduation. In each of their first two semesters of matriculation at the College of Human Ecology, students are required to take a Knight Program First-Year Writing Seminar. This policy also applies to transfer students. One or more of the seminars may be waived for transfer students if the college registrar grants credit for equivalent course work taken before matriculation at Cornell. Those who do not fulfill this requirement on time will be referred to the Committee on Academic Status. Refer to Criteria for Good Standing for specifics on warning statuses that the committee applies to students who do not complete this requirement. First-year writing seminars must be taken at Cornell and may not be taken in absentia. Students who receive a score of 5 on either the English Literature and Composition or English Language and Composition Advanced Placement (AP) exams can be exempt from one semester of their first-year writing seminar requirements. No other AP scores will allow a student this exemption or allow for elective credits in the college. Students should be aware that the add/drop period for first-year writing seminars may be shorter in duration than the add/drop period for most Cornell classes. Any credits earned with the Wells or Ithaca College exchange program are considered Cornell credits for the purpose of fulfilling the 60 Cornell credit graduation requirement. They may not be used for Human Ecology credit. Study abroad, including exchange, courses may also count as Cornell credit (but not for Human Ecology credit). The requisite score on a departmental examination at Cornell (usually given during orientation week) or on a College Entrance Examination Board (CEEB) achievement test. The requisite scores for the CEEB exams are determined by the relevant department at Cornell, vary by subject, and are listed in the beginning of this catalog. College-specific rules apply toward many AP courses such as biology, English literature, English composition, and statistics. Credit from the International Baccalaureates (IB) is evaluated individually. Refer to Cornell Credit Requirements for details on how many Advanced Placement (AP) credits can be applied toward the 120 credits needed for graduation. Note: Cornell does not accept credit for courses sponsored by colleges but taught in high schools to high school students, at colleges if enrollment is targeted at high school students, or if the course was used toward high school credit. This is true even if the college provides a transcript of such work. These courses also may not be used to fulfill college requirements. Students who have taken such courses may, however, take the appropriate CEEB test to qualify for credit as in paragraph 1 above. For further information and limitations on Advanced Placement credit, see the front pages of this catalog. Students who studied a foreign language before coming to Cornell and who want to continue must take either the CEEB test in that language or a Cornell departmental language placement test. The latter is given during orientation week in September and again in December, January, and May. Human Ecology students who plan to work with non-English–speaking people in this country or abroad often find it necessary to be proficient in another language. Many study abroad programs in non–English-speaking countries require the equivalent of two years of college-level language study. Extramural credit is administered by the Office of Continuing Education and Summer Sessions (B20 Day Hall, (607) 255-4987). Extramural credit is charged by the credit hour at the endowed tuition rate. Students may count only 15 credits of extramural credit toward their degree requirements. A student may enroll for extramural credit during the fall or spring semester only if he or she is not registered in the College of Human Ecology. For example, some students enroll for extramural credit before matriculating at Cornell. An exception to this rule is credit earned in the Ithaca College or Wells College exchange programs. Students enrolled in these programs simultaneously maintain their status as students registered in the College of Human Ecology. Students may meet the college level requirement in one of the following ways. Any CORNELL math course except MATH 1101 , MATH 1710 , or MATH 1600 . Departments may impose additional requirements for majors or specify courses within this requirement. Students entering as transfers may apply to have their statistics or math courses approved, but pre-calculus courses will no longer meet this requirement or receive graduation credit.